AIDSWALK 2018 is just around the corner, Sunday, October 14 in fact! Whether you can make the event or not, you can you can help support the largest locally organized fundraising event that helps fund programs and services for individuals and families living with, affected by, or at risk for HIV/AIDS. Join the Red Ribbon Club! With a gift of $50 or more, Red Ribbon Club Members help motivate and encourage others to get involved and raise funds in support of SAAF’s programs and services. You can make a general gift or a donation in honor or in memory of someone. Your name will be printed in the AIDSWALK Official Program if your gift is received by DATE TBD. Become a Friend of the Quilt! With a gift of $50 or more, you can be a Friend of the Quilt. Your gift helps to bring panels of the AIDS Quilt from the Names Project Foundation to AIDSWALK so that we can remember those lost to HIV/AIDS. Your name will be printed in the AIDSWALK Official Program if it is received by DATE TBD. 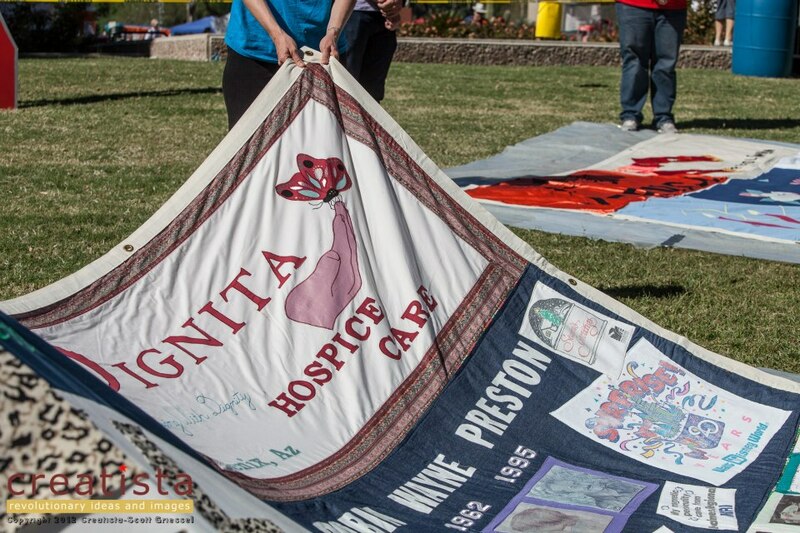 Your leadership gift as a Red Ribbon Club Member or as a Friend of the Quilt helps to support programs and services year-round at the Southern Arizona AIDS Foundation (SAAF). To become a Red Ribbon Club Member and/or Friend of the Quilt, click the link above. For questions, contact Travis Craddock, Director of Development, at (520) 547-6105 or tcraddock@saaf.org.